The name of the new Cornelia Wells Conference Center pays homage to an exceptional slave who worked her way to freedom and established herself as an entrepreneur in a time when that was inconceivable for most blacks. The new facility's Ground Breaking Ceremony took place on May 17, 2012. This momentous occasion was celebrated by a host of local and state dignitaries, including Wells Fargo Bank V.P. Rachelle Petrancuri and a grand community of stakeholders including Jim Peters, descendant of the Peters family. The center is emerging from the first shovel put in the ground with new changes every day. The Cornelia Wells Conference Center will be the newest center of its type in Fairmount Park. We are booking for 2013 now! 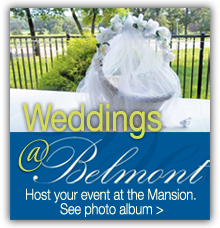 Come and celebrate your special event with the richness that the Cornelia Wells Conference Center at The Historic Belmont Mansion offers. 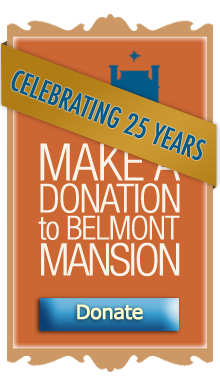 You can become a part of the Belmont “Heritage for the Future” by donating to the American Women’s Heritage society. We are continuing our work to preserve Philadelphia history and tell the story of the Underground Railroad with educational programs. Be a part of the culture and legacy of Belmont Mansion and Philadelphia Fairmount Park. Completion of Cornelia Wells Conference Center is slated for October 2012. The AWHS is a non-profit historic preservation organization that raises funds from membership fees, admissions, rentals, grants and donations. 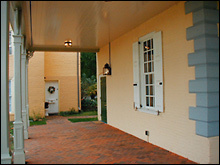 Through the Society, Belmont Mansion has become an interpretive and educational center for American history and culture. The Society seeks to expose the community to the fine arts (literature, art, dance and music), as well as build bridges of communication and interaction among various ethnic communities in Philadelphia. Belmont Mansion also serves as a site for wedding receptions, private parties, meetings of civic and cultural organizations, and tours for visitors. Ground-level porch at Belmont Mansion.